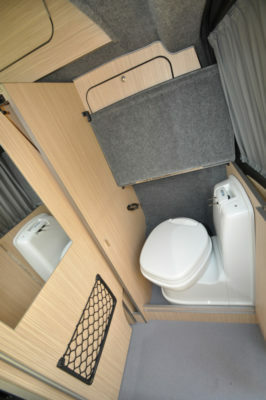 Fit for a campervan king? 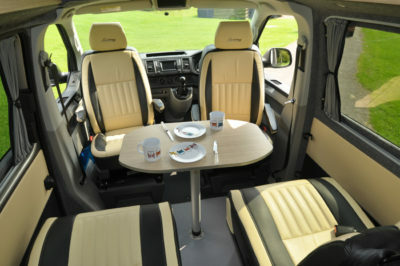 The UK’s appetite for campervans seems almost insatiable at the moment. The choice is virtually unlimited, too, as more converters compete for your attentions. It’s Volkswagen’s Transporter that’s, literally, the driving force here – and we’re now into that latest version, the T6, which is arguably the most sophisticated yet. 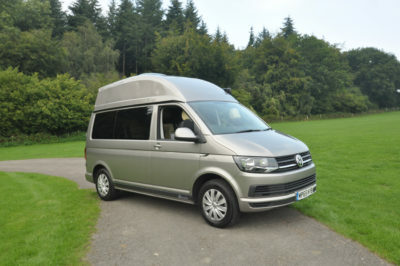 Based in Watchet, Somerset, Autohaus has been producing VW-based campers since 1994. That’s not such a long time in the world of campervans, but it’s sufficient for the company to gain very high ratings for its work. The T6 van provides the base here, but there’s a bit of a difference. A typical Camelot from Autohaus starts with the 102PS engine, whereas this example has the less costly 84PS version. Latest engines are Euro VI and come with Volkswagen’s BlueMotion Technology, which includes start/stop, low rolling resistance tyres and regenerative braking – all designed to help fuel efficiency and/or less wear on key components. 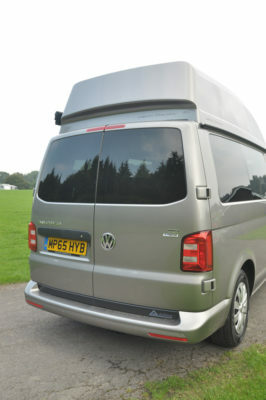 This Camelot also boasts a lot of extra kit over and above that of a standard version – that’s because this particular example was built specially for Salop Leisure, one of Autohaus’s increasing number of agents around the country – another sign that this is a converter that’s really going places. This is also the high-top version (using a roof from Reimo), which means valuable permanent standing height as well as extra storage, thanks to the high-level lockers – nine in total. The main downside is not being able to squeeze the vehicle under typical height barriers, of course. However, there’s also an elevating roof variant with the same four-seater/twin single beds floorplan. 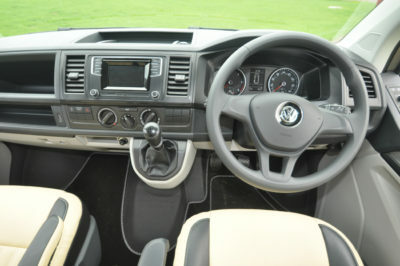 The Camelot’s cab seats have swivels, as well as height-adjustability (not many VW-based campers have both), while the rear units are from RIB. They combine to make up two single beds, at a decent 1.88m x 0.60m each. 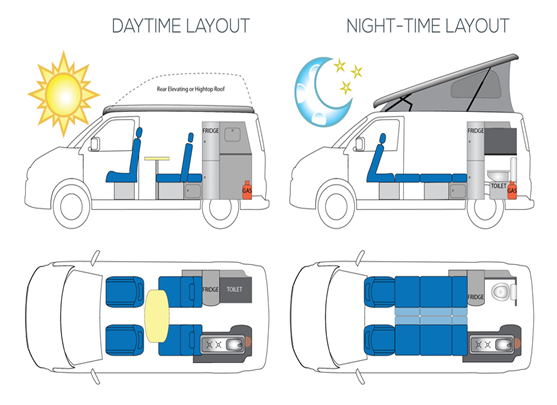 Also, by specifying more expensive rear seats, Autohaus can offer (as standard) the facility to slide both base sections together for the extra cosiness of a double bed. Towards the back, the kitchen is along the nearside. 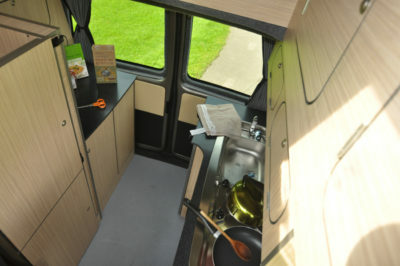 It includes a Smev two-ring hob and sink, plus an oven/grill as well as a good array of storage lockers. The kitchen continues across the corridor, where there’s a compressor fridge plus shelved cupboard. There’s also a microwave oven on this example, although its location is perhaps a little too high. Also along the offside in the rear corner is a plumbed-in, swivel-bowl Thetford toilet, with manual flush. Privacy is afforded by a sliding screen. Autohaus also offers plenty of choice in terms of interior finishes and exterior paintwork. At the last count Volkswagen’s T6 was available in some 50 different original colours – but Autohaus can actually add to this, thanks to its extensive bodyshop facilities, which include a Spraybake booth. The campervan’s standard CAT 1 alarm, which includes tow-away protection, will cut insurance premiums for buyers. There’s also the assurance of knowing Autohaus is an ISO9001-registered company and the Camelot has Small Series Type Approval. Backing the Camelot conversion with its own three-year warranty neatly rounds off what is a highly impressive all-round package. There’s more information on the Camelot on the Autohaus website www.autohausvw.co.uk. 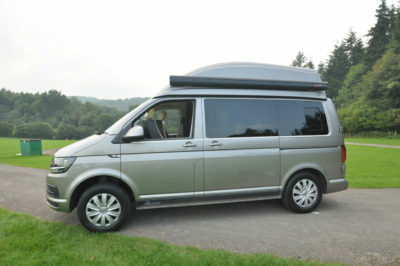 Find out more about insuring this or your current campervan on our campervan insurance page. Safety & security Thatcham Grade 2 immobiliser; remote central locking; ABS and Brake Assist; Automatic Post-Collision Braking System; traction control system; electronic stabilisation programme; hill hold assist; twin airbags; emergency brakelight system; front and rear parking sensors; tyre pressure warning light; Thatcham Cat 1 alarm and immobiliser with tow-away protection; traction control system with electronic differential lock and hill hold assist. Key options Alloy wheels (from £500), 100Watt solar panel (£291), multi-rail set (£205), sidebars (from £195), blown air heating (from £825), water heater (£1,095). Camelot. Can I buy this car in Germany or Belgie?